Dozens of Christians were arrested for worshiping at underground house churches across the autonomous Chinese region of Xinjiang during crackdowns on Christianity that occurred around the Lunar New Year holiday in late January, a leading persecution watchdog has reported. According to China Aid, more than 80 Christians were arrested by authorities after they attended house church meetings across the northwestern region, while six others were detained in the days leading up to and after the Jan. 28 Chinese New Year holiday. China Aid, an organization that reports on human rights abuses committed by the communist government against the nation's Christian minority, reported last Friday that a government security agency conducted raids on various house churches affiliated with the Protestant house church network, Fangcheng Fellowship, which has an estimated 10 million members. The raids were conducted on house churches in the cities of Urumqi, Kuytun and in Shawan Counties. Those arrested were charged with crimes such as "engaging in religious activities at non-religious sites." The report claims that the Christians were arrested because of their refusal to join the state-run church, the Three-Self Patriotic Movement. 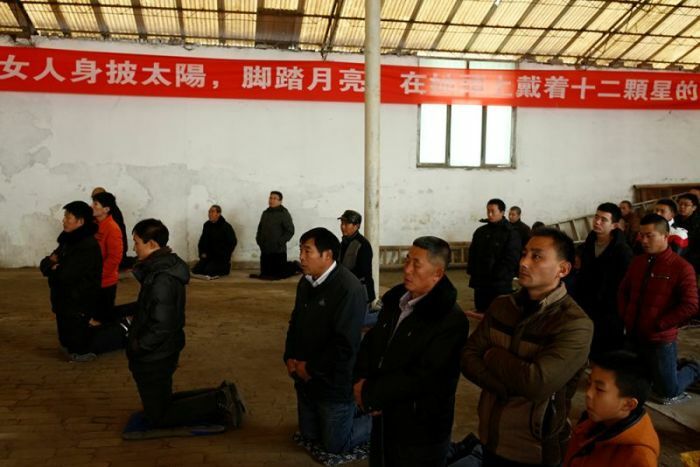 News of the arrests come after authorities in the Xinjiang town of Wusu disrupted a prayer gathering at a local church on Jan. 20 and imprisoned 10 attendees on grounds that it was illegal to hold a private church meeting. Those imprisoned included six women who were detained for a total of 15 days and fined the equivalent of $145 for "gathering and praying under the name of Christianity." According to China Aid, the government also demanded that those Christians detained on Jan. 20 join the state-run church. The detainees were officially released on Feb. 9. "We believe in Jesus wholeheartedly. What just happened was not fair. We did not cause trouble. We did not bother the neighbors. All we did was study the Bible," Chen Xiangyan, one of the women detained for 15 days, told China Aid. "[The police] said that we might be controlled by bad people, but I promised him that we knew what we were doing because we believed in Jesus, not someone bad. They would not listen to me and directly transferred us to the detention center. They fined each of us 1,000 Yuan. We didn't receive a receipt until now." In addition to detaining house church attendees across Xinjiang, authorities in China have also taken other steps to crackdown on Christianity and evangelism. After conducting house church raids, the Chinese government deported as many as 32 Christian missionaries from South Korea in February as part of the government's crackdown on evangelism. 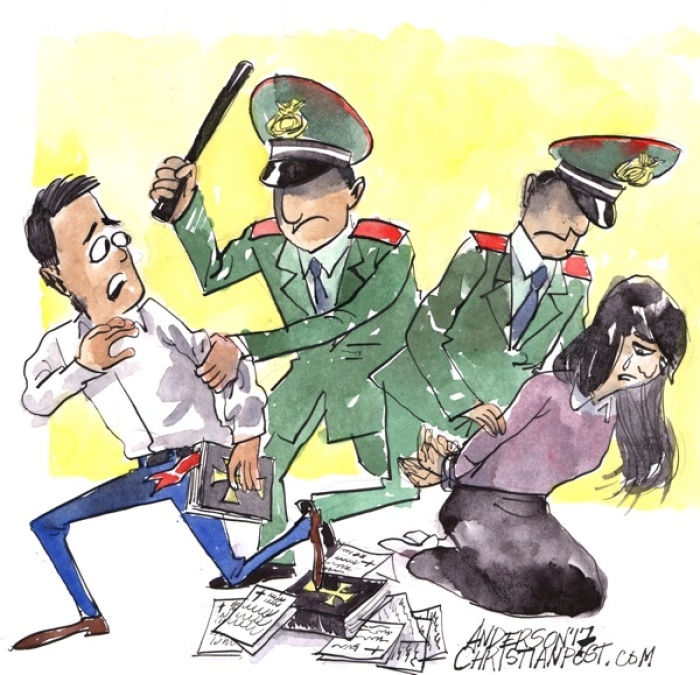 Last week, it was reported that five Christians in China were sentenced to years in prison on charges that they bought and sold what the government considers to be "forbidden Christian devotional books." "Of them, pastor Li Dongzhe and Piao Shunnan received seven years, Zhao Chunxia and Li Yuan were given five years, and Shi Jinyan was sentenced to three years," China Aid reported. After a bishop appointed by the Vatican was arrested last September, China Aid President Bob Fu told The Christian Post that China's "top leadership is increasingly worried about the rapid growth of Christian faith and their public presence, and their social influence." "It is a political fear for the Communist Party, as the number of Christians in the country far outnumber the members of the Party," Fu explained.